The number of Android devices running on Intel processors has increased since Intel and Google announced, in late 2011, that they would be working together to optimize future versions of Android for Intel Atom processors. Today, Intel processors can be found in Android smartphones and tablets made by some of the top manufacturers of Android devices, such as Samsung, Lenovo, and Asus. The increase in Android devices featuring Intel processors has created a demand for Android applications optimized for Intel Architecture: Android Application Development for the Intel® Platform is the perfect introduction for software engineers and mobile app developers. 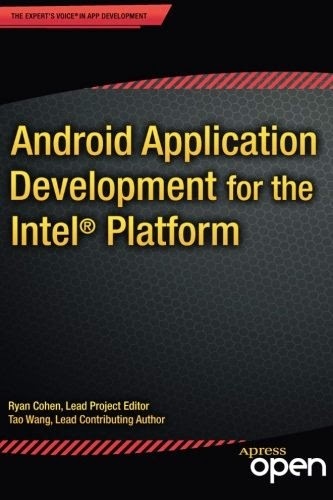 Through well-designed app samples, code samples and case studies, the book teaches Android application development based on the Intel platform—including for smartphones, tablets, and embedded devices—covering performance tuning, debugging and optimization. This book is jointly developed for individual learning by Intel Software College and China Shanghai JiaoTong University. The book is primarily for app developers, software engineers and open-source programming enthusiasts, but can also be used by for training programs and Codeacademy-style programs.